Preheat oven to 350°F. 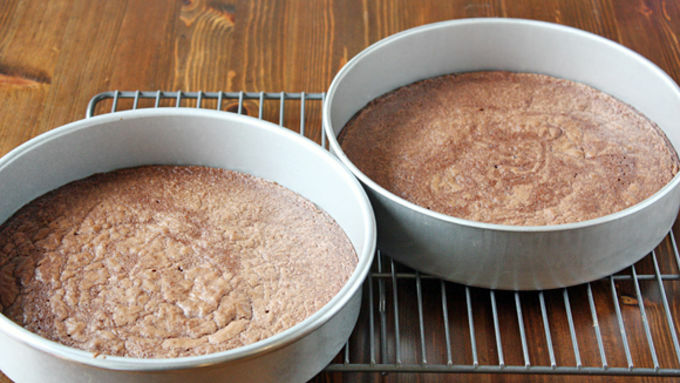 Line two 8-inch round cake pans with parchment paper and lightly spray paper with cooking spray. Prepare brownies as directed on box and divide batter between two prepared pans. Bake brownies until a toothpick inserted in the center of each cake comes out clean, about 20-25 minutes. Remove from oven and cool 30 minutes in pans. 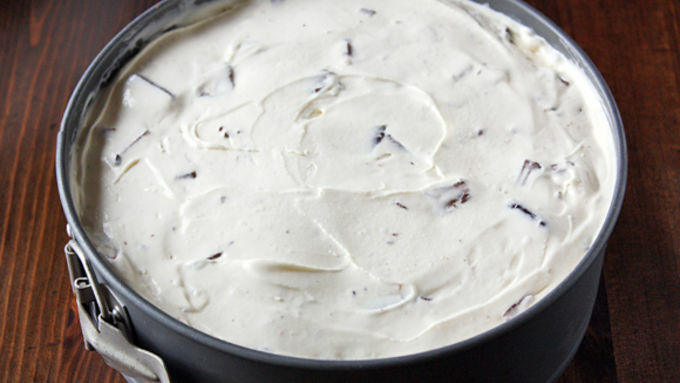 With 10 minutes left, remove ice cream from freezer to soften slightly. Remove cakes from pans. Lightly spray the bottom of an 8-inch springform pan with cooking spray and place one fully cooled cake in the bottom of springform pan. Scoop half the vanilla ice cream (about 10 scoops) into a large bowl. Add 1 cup chopped candy bars and stir to combine. Spread ice cream evenly on top of brownie cake in pan. Place pan in freezer 15-20 minutes to firm. Remove cake from freezer and top ice cream layer with remaining cake. 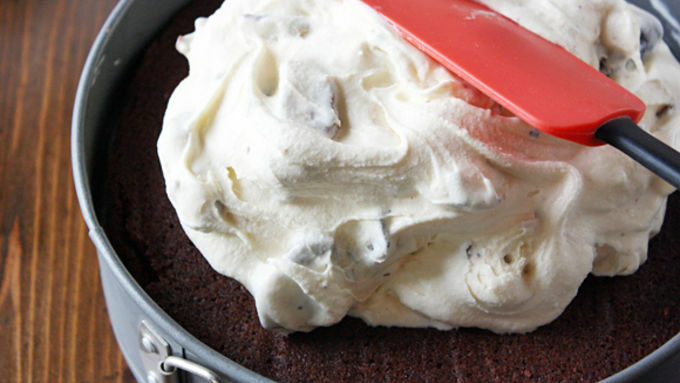 Combine remaining ice cream and 1 cup chopped candy bars and spread over brownie cake; smooth top with a spatula. Cover pan with aluminum foil and freeze at least 8 hours or overnight. The next day, remove cake from freezer. Uncover cake and run a butter knife along edge of pan to remove cake from pan. Remove side of springform pan and place cake on a serving plate. Top with more chopped candy bars and drizzle with chocolate syrup and caramel sauce, if desired. Serve immediately. We’ve all been there in our childhood: In the after trick-or-treating candy coma. The tricks and treats are over, we’ve poured our mountains of candy treasure out of our pillowcases and traded Sweet Tarts for Rolos, Twix for Reese’s peanut butter cups, thrown off our tiaras and pulled back our masks and chowed down on our sweet earnings until it happens. The dreaded coma. And then we can’t even look at our Halloween candy again for at least another 24 hours! 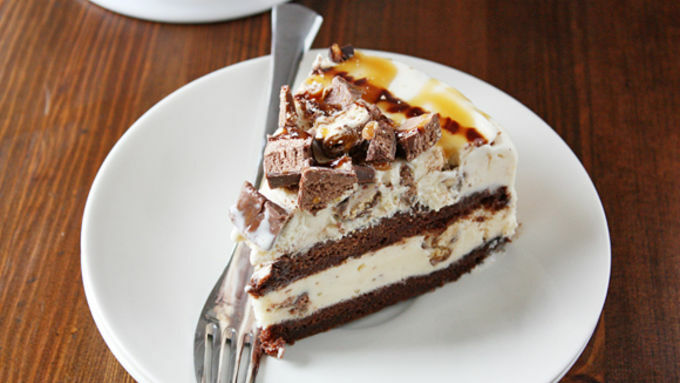 That’s where this ridiculously awesomely magically delicious Candy Bar Ice Cream Cake comes in. Instead of letting all that perfectly good leftover Halloween candy go to waste, chop up and swirl those extra chocolate candy bars into this over-the-top frozen dessert. That way, when your sweet tooth takes over again, you’ve got this recipe to fall back on. No more candy comas spoiling all that sugary loot! Firstly, collect all that extra candy – softer chocolate candy bars like Three Musketeers, Milky Way, Snickers and Reese’s peanut butter cups work best for this recipe, but you can pretty much use whatever you’ve got – and get yourself a big ol’ bucket of ice cream and a box of Betty Crocker’s chewy fudge brownie mix. The adventure begins!I prefer plain vanilla ice cream for this recipe to cut down on the obvious sweetness, but you could use whatever ice cream floats your boat. Candy coma or not, this baby cannot be denied. 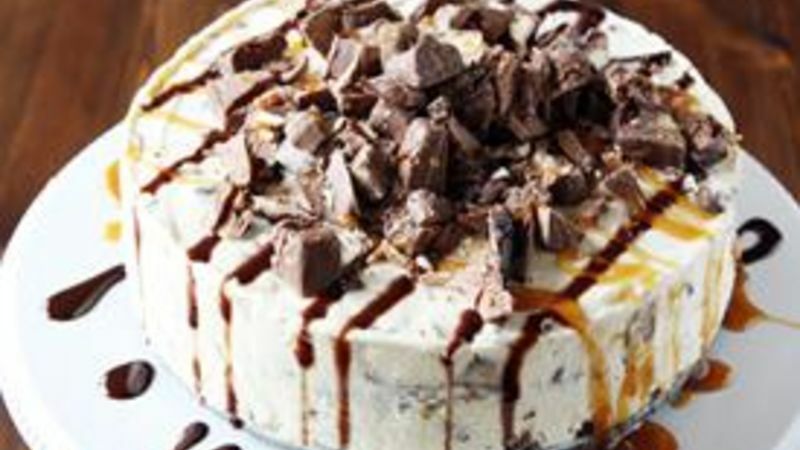 I scream, you scream, we all scream for cream cake!